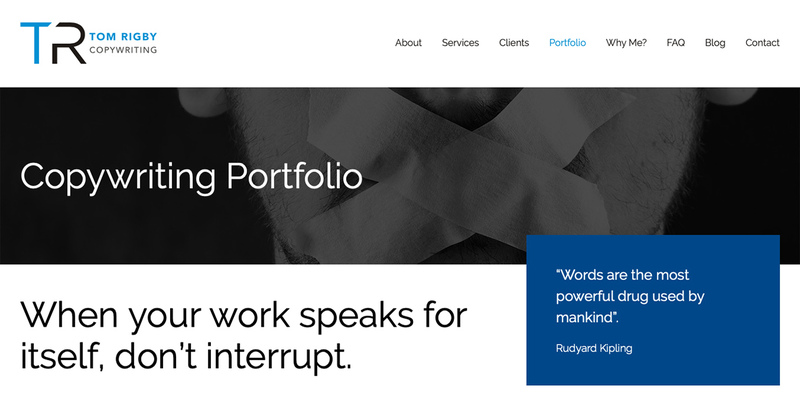 If you're ready to create an online writing portfolio or need to give your existing portfolio a makeover, we've found some fantastic portfolios for you to take inspiration from. 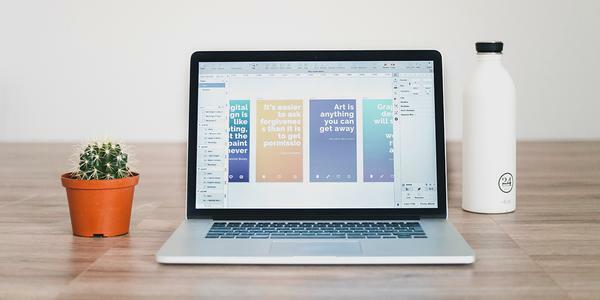 There are many different ways to lay out your portfolio and these six copywriters have all found a style that showcases their writing and work. 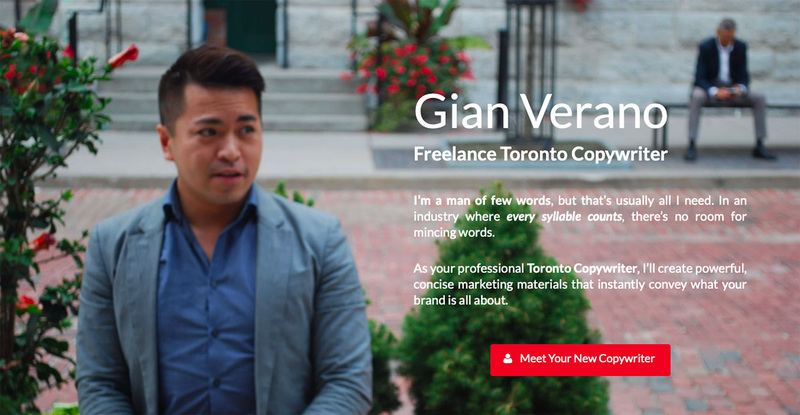 Gian Verano’s copywriting portfolio is immediately eye-catching thanks to a hero image. Over top of the hero image, Gian has clear and clever copy that will appeal both to potential clients and search engines. Before scrolling further down the page, you already get a sample of his writing skill and professional personality. On her portfolio, Sarah Dembkowski uses the images from her copywriting projects to her advantage by featuring them on her portfolio homepage. Paired with a simple menu at the top of the page, it’s easy to browse her portfolio and explore her previous work. The copywriting does the initial work on Tom Rigby’s portfolio. Tom has made excellent use of copy above the fold, and then accentuates the copy with different font sizes and font weights. He balances the text by using images further down the page to show off his work. 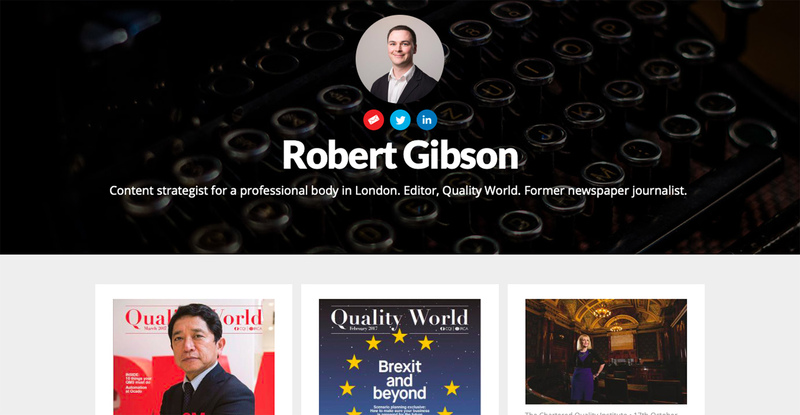 Using Journo Portfolio, Robert Gibson has kept his copywriting portfolio clean and professional looking. He’s included a photo, social media links, and a clear tagline at the top of his portfolio, followed by images and previews of his work. Robert Gibson is using the Journo Portfolio theme Dark. 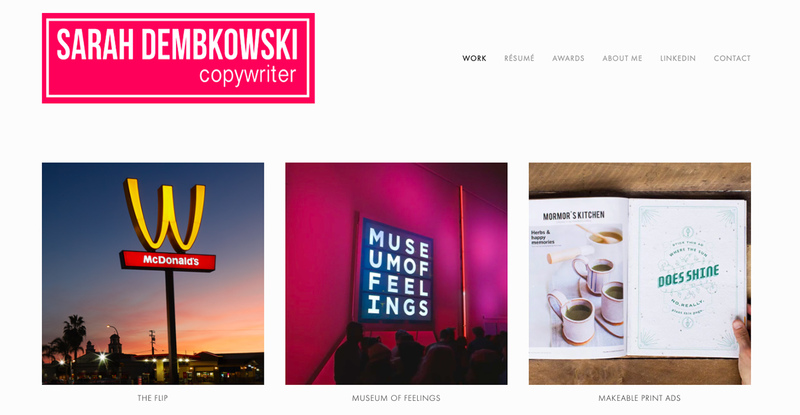 Sandra Kowalski uses the homepage of her portfolio to focus on her biography. She shares not just what she writes, but why she loves to write as well. The sidebar menu makes it simple for viewers to jump to different sections of her portfolio. 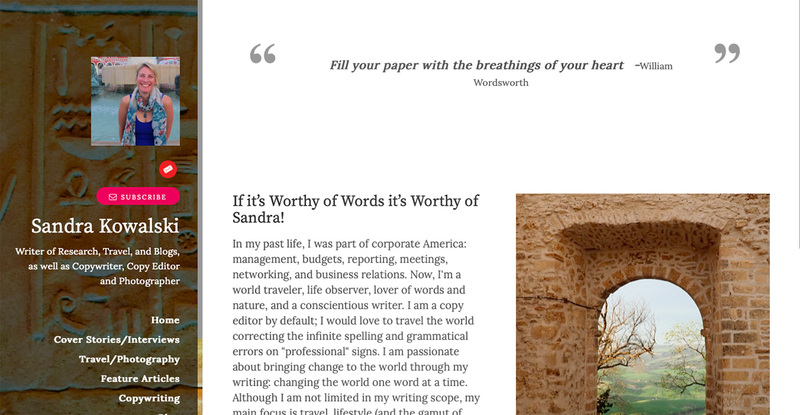 Sandra Kowalski is using the Journo Portfolio theme Sidebar. At first glance, Lotty Cairns’ portfolio is bright and minimalistic. Her portfolio samples pop off the page because of high-quality images and strong font choices. Her copywriting portfolio invites you to just keep reading more of her work. 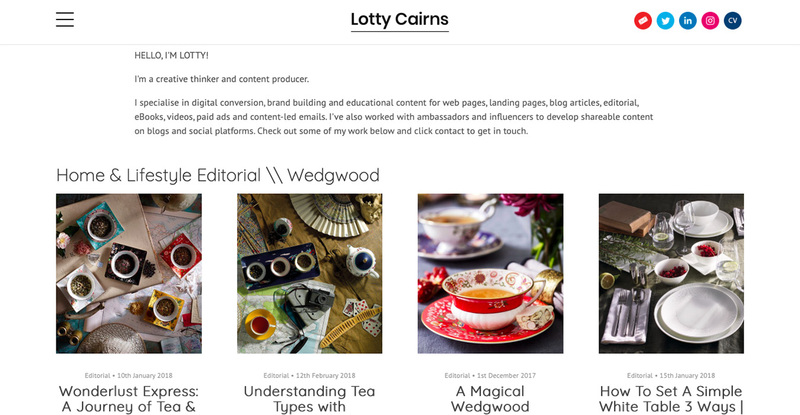 Lotty Cairns is using the Journo Portfolio theme Square.